No bullets here, but plenty of brains. 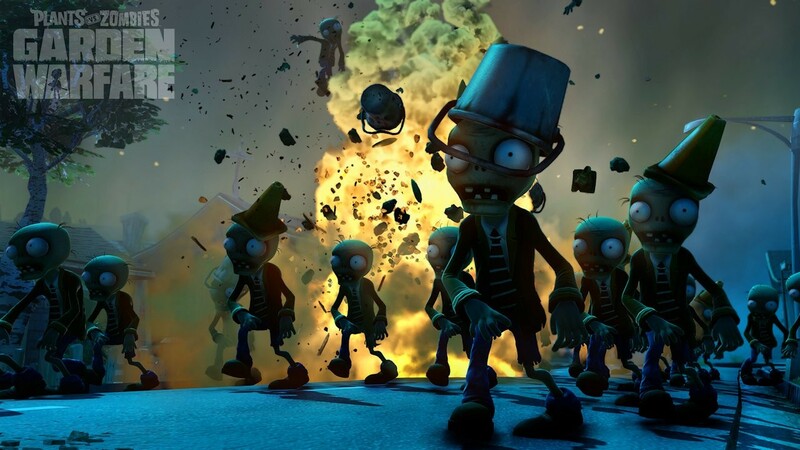 Many folks were duped into thinking the opening of the EA E3 2013 Press conference was a new Battlefield game, instead what we saw was a interesting twist on the Plants vs Zombies franchise. 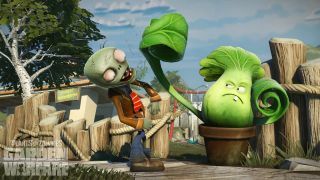 Plants vs Zombies: Garden Warfare is a 3rd person action title powered by Frostbite 3 for Xbox 360, Xbox One, and PC - best of all - it features a four player online co-op mode. 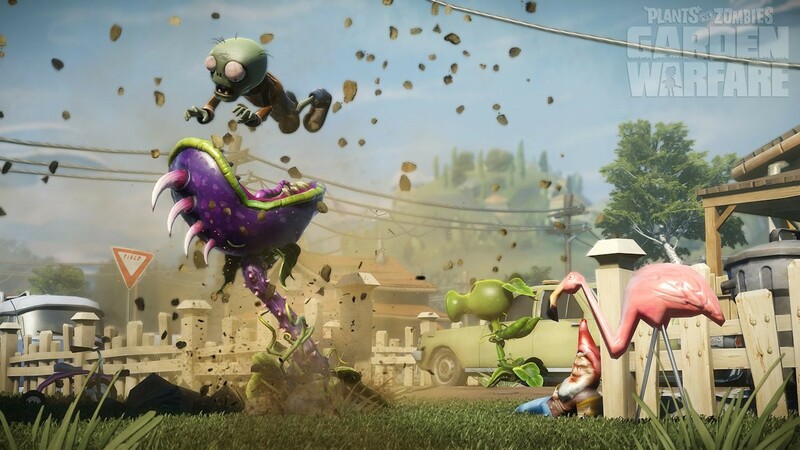 The mode we saw had a simple goal - defend the garden from zombies, just like a normal Plants vs. Zombies game. The difference though? There's a bit of tower defense strategy mixed with 3rd person shooter. 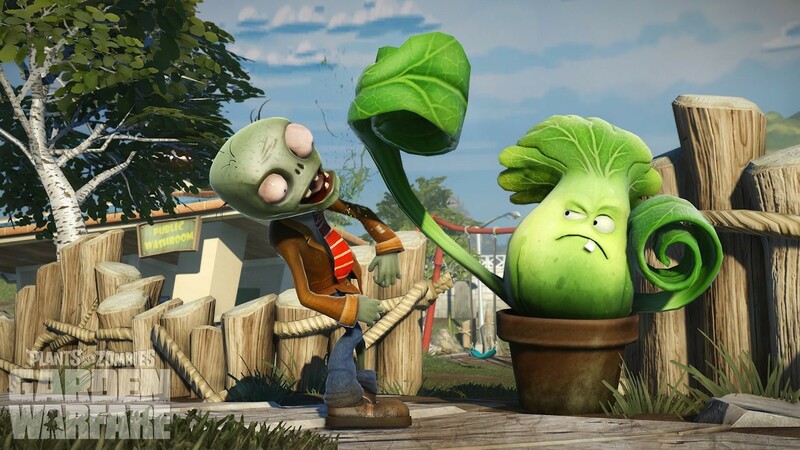 The plants in Garden Warfare are able to uproot and attack on the go. The four player co-op mode has four character classes - Peashooter (Assault), Sunflower (Healer), Chomper (Damage Dealer), and Cactus (Tank). These characters all have special, complimentary, abilities. 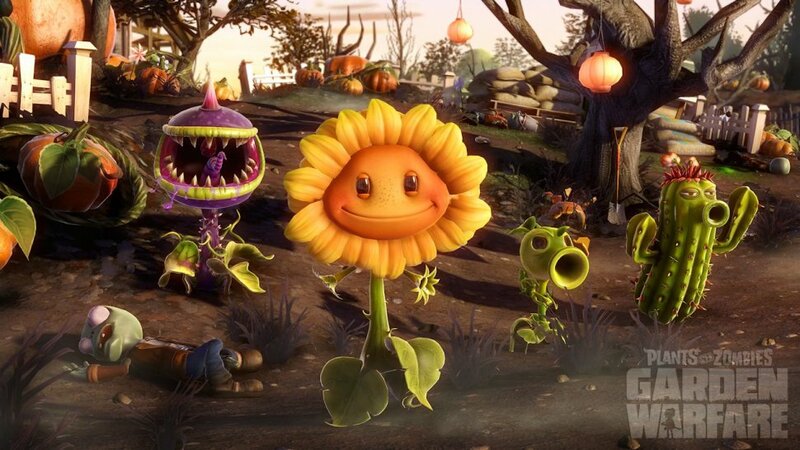 For instance in a demo for the game we saw Sunflower work around as a support character healing his teammates while the other players held back waves of zombies. From what we've seen the game is colorful, light hearted, and potentially pretty strategy oriented. There's boss battles, upgrades, experience, and several other systems at play - though EA wasn't revealing many details just yet. While the game showed a four player co-op mode, Garden Warfare will also feature a 24 player competitive mode and a campaign mode. Right now the game is only on Xbox One, Xbox 360 and PC - though our interview with Jeremy Vanhoozer, Creative Director of Plants vs Zombies, revealed it should be coming to other platforms. It's still pretty early on for Plants vs Zombies: Garden Warfare but it's definitely shaping up to be a unique take on the franchise, while still feeling like it belongs.